Hi there, I’ve been following your blog for awhile and love the honest reviews. But I need help! I’ve been looking for a good, non-greasy SPF that’s suitable for wearing under liquid foundation. Even so-called light formulas seem to slide off my face halfway through the day. I want to protect my skin but I want to look normal while doing it. Do you have any recommendations? Thanks! I wish I had the answer but when it comes to sunscreens, I have a bit of a Goldilocks problem. 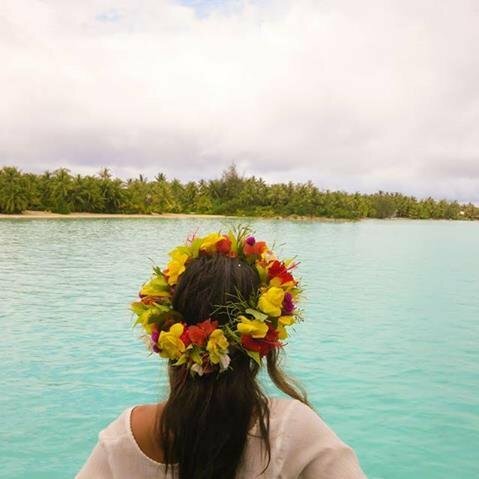 The recommended sunscreen is physical rather than chemical but physical blocks always seem heavier and leave a white cast while the chemical blocks are more fluid and absorbable. With some physical sunscreens, because it’s so heavy or thick, my skin tends to get congested but chemical blocks sometimes irritate my apparently super-sensitive skin so it really depends on specific brands. As for the ‘slide off’ your face issue, have you tried those waterproof sunscreens? I haven’t really had this issue, but I do remember using my boyfriends Jack Black Water Resistant SPF when I went swimming and that stuff stayed ON. The only reason I don’t use it regularly is because it makes my skin feel dry. I’ve used Sunday Riley’s Cashmere SPF 30 to good results and I like the iconicShiseido SPF bottles to layer under makeup because they’re so fluid. For something more natural and clean, I like the 100% Pure Argan Oil Moisturizer and the Coola Sunscreens. I’ve also been dabbing with more multitasking products and I’ve been using the Omorovicza Complexion Enhancer SPF 15 which is kind of like a tinted moisturizer. I know that soon REN is launching a BB Cream with SPF15 as well so I’m excited to try that. Cleansing balms are renowned for their ability to gently remove all makeup, especially waterproof makeup while imparting moisture to skin. Cleansing balms are also good for all skin types as the oils decongest pores, and hydrate skin. 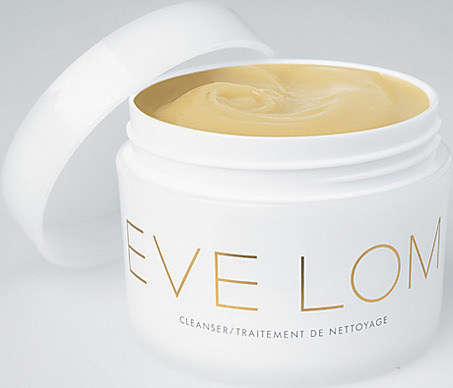 Eve Lom’s signature namesake Cleanser ($80) is a staple in most beauty editors’ regimen. It is often regarded as one of the first high-end bi-phase cleansers and Intothegloss calls the process “an experience”. The Cleanser is actually a cleansing balm with chamomile, clove, and eucalyptus oil and cocoa butter. Like all cleansing balms, it is applied to dry skin after being heated through rubbing your hands together with the balm to turn it into a loose oil. Its cult following sings the praises of how skin just glows and feels soft after the first use. However green beauty fans shy away due to it’s less than stellar formula which includes: a base of mineral oil, PEGs, Phenoxyethanol, Parabens, and Aluminum. Thankfully there are now cleaner options for cleansing balms. Omorovicza’s Thermal Cleansing Balm ($102) is quickly winning over beauty editors and clean fans alike. The dark hue is created by Hungarian Moor Mud and the base of the balm uses Apricot Seed Oil and Jojoba Oil instead of pore-clogging mineral oil, and is free from parabens and PEGs. Although significantly cleaner, this formula does contain iffy ingredients including Phenoxyethanol. The balm breaks up quite easily and rapidly once heated in hands and quickly goes to work in much the same way as the Eve Lom Cleanser. However the cleaner ingredients leave skin feeling fresher and glowing for longer. Definitely upgrade! For beauty on a more limited budget, try Ren’s No.1 Purity Cleansing Balm ($48) which is actually a tri-phase balm as it forms a milky emulsion once in contact with water (no need for muslin cloth like the first two). It uses similarly luxurious ingredients as the other two products on this list at a fraction of the price: the luxurious rose scent and chamomile sooth skin while Sweet Almond Oil and Shea butter pull out pore cloggers and moisturize skin. As a bonus, you do not need a muslin cloth to remove extra product because the formula is designed to rinse off clearly. For some this is a convenience however, I must admit part of me is not at ease with the feeling that I am letting my skin absorb emulsifiers all day by leaving a bit sitting on my face with the oils. I’ve also been on a quest to clean up my skincare routine. Lately I’ve realized that the more pure and clean my products, the better my skin looks and responds. A very light, moisturizing, floral-scented cream cleanser from Tata Harper, a brand that prides itself on nontoxic products. The refreshing cleanser is perfect for those days where you just didn’t wear much make up and don’t need something strong. It leaves skin soft, and hydrated. The floral scent is divine and the feel is amazing. It isn’t Clarisonic friendly in that I couldn’t really get a rich lather out of it, but I don’t really mind. It is choke full of active ingredients and I don’t know how much these do in general for cleansers, but I LOVE thinking about how much good I’m doing for my skin. Although it is only 1.7oz, you only need 1 pump each time so it lasts a while. I am usually very picky with cleansers and this one seems to be good enough for a repeat. When we first got samples of Kahina at work I didn’t know what to make of it. I wasn’t sure if it was one of those pure oil cleansers because I had read that Kahina is known for their Argan Oil products. When I saw the sleek black bottle with the drawing scribbled on it, I couldn’t say no to trying it out. The product just feels incredibly high end from the weight to the colors, it just feels and looks wonderful on my bathroom counter. The cleanser comes out as a very fluid gel that smells very natural in a good way, not overwhelming. This is the cleanser I use when my skin just needs to be nurtured whether it is from a rough weather day or a long day – the fatty acids just sooth my skin. The product itself is 100% natural and 78% organic which fits into my clean skin routine. I’ve gone through a gamut of exfoliating cleansers and chemical exfoliants proved too “rough” for me, while physical exfoliants often contained granules that were entirely too large to not do any damage. Then I found Omorovicza through work. Omorovicza is a high-end, natural line from Hungary which uses ‘time tested’ actives such as thermal spring water and diathomaceous earth. The bottle is very lovely. The cream inside had a very faint, flowery scent. I noticed that my skin was left very soft, so as an exfoliant it worked. The granules were not big and were very gentle which was very important to me. The mineral delivery system, a Omorovicza patent, helps deliver minerals down to the finest layers of skin for plumper, radiant skin. So far I’ve noticed that it leaves my skin feeling soft yet hydrated which no other exfoliant has done before.